After the success of the first installment of David Hare’s The Worricker Trilogy – Page Eight – it’s no wonder that BBC Two and Carnival Films are partnering to produce the next two films in the series titled Turks & Caicos and Salting The Battlefield. Adding to an impressive cast that already includes Bill Nighy, Ralph Fiennes and Michael Gambon (Harry Potter, Layer Cake) are Christopher Walken, Winona Ryder and Helena Bonham Carter. Worricker (Nighy) after the director of MI5 dies. A conspiracy to turn control of MI5 over to the Prime Minister leads Worricker to the islands known as the Turks & Caicos, where he is persuaded by the CIA to deal with a group of ambiguous Americans attending a high-level conference. At the same time, an old girlfriend, Margot Tyrrell, is being asked to betray her boss in London in order to establish an illicit connection between the prime minister and dark goings-on in the war on terror. Johnny Worricker and Margot Tyrrell as they are on the run across Europe, with MI5 hard on their heels. But life in exile is proving much harder than either of them expected. Worricker knows that his only chance of resolving both his personal and his professional lives is if he returns home to confront the powerful prime minister, Alec Beasley. In a duel of wits between the two men, there will be only one winner. Neither film has started production, but if you were a fan of Page Eight, then this is excellent news. 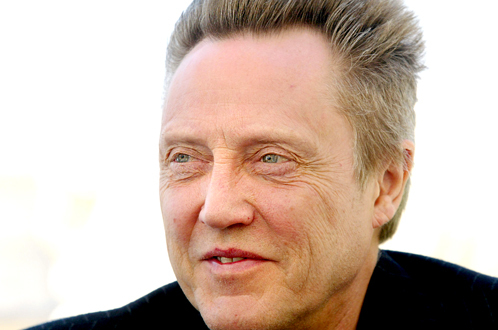 Hopefully with the addition of Walken, Ryder and Helena Bonham Carter, the sequels will be outstanding. Any The Worricker Trilogy fans in the house? Chime in in the comments below.